Under the U.S. Immigration and Nationality Act, H1B visas allow employers in the United States to employ graduate level foreign workers in specialty occupations. These jobs typically require technical or theoretical expertise in specialized fields like accounting, finance, mathematics, engineering, architecture, medicine, science, or IT. According to a recent article published by Fortune, 37 percent of H1B visa holders work at 20 companies. The companies that sponsor H1B visas most consistently in this list include Cognizant Tech Solutions, Infosys, and Tata Consultancy Services. Headquartered in Teaneck, New Jersey, Cognizant Tech Solutions is a multinational American company that provides comprehensive IT services, including consulting, technology, and operations services. 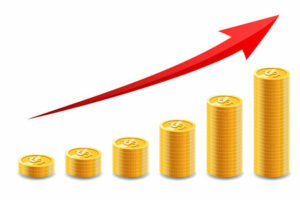 Cognizant has experienced fast growth over the last two decades, becoming a Fortune 500 company in 2011. Fortune 500 companies make up more than one-third of the organizations with the most approved H1B visa petitions. In 2017, Fortune named Cognizant Tech Solutions the number one company with the most H1B visa petitions approved by the Department of Homeland Security with more than 20 thousand approvals in 2016. Cognizant Tech Solutions is far reaching, with services offered in North America, Asia, and Europe. The growing company dabbles in a variety of sectors, from complex custom-systems development and customer relationship management (CRM) to application design and enterprise-resource planning (ERP). Cognizant also offers outsourcing services, including application and ERP maintenance. These services are available to nearly any markets, including health care, financial services, manufacturing, logistics, and retail. H1B visas are designed to bring foreign professionals with specialized skills and college degrees to fill jobs in the United States when qualified Americans cannot be found. Cognizant Tech Solutions is one of the top companies that sponsor H1B visas most consistently while offering competitive pay and benefits. These visas are approved on a first-come, first-served basis, beginning on April 1st of each year. While federal officials only allow one application per foreign worker, companies are able to submit an unlimited number of applications for their employees. Large Fortune 500 companies like Cognizant Tech Solutions submit thousands annually. Next on the list of companies that sponsor H1B visas most consistently is Infosys. While not a Fortune 500 company, Infosys Limited had nearly 15 thousand H1B visa petitions approved by the Department of Homeland Security in 2016. The Indian multinational corporation is headquartered in Bengaluru, India and offers a range of services, such as information technology, business consulting, and outsourcing services. Infosys helps clients in more than 50 countries create and execute digital transformation strategies. They are currently the second-largest Indian IT company as of 2017 with a total market capitalization of $34.33 billion. They also have a credit rating of A-. The global leader of technology and consulting services consists of a team of more than 198 thousand innovators located in countries across the globe. Each team member possesses unique knowledge, experience, and the imagination needed to bring every project taken to new levels. 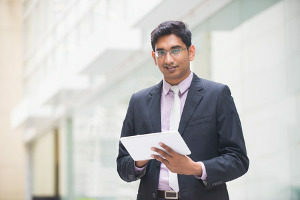 Infosys uses a variety of strategies to help clients find the proper solutions to their unique problems, including services like engineering, business process management, application development, and knowledge management. Infosys currently has more than 24,000 workers spread across the region. Of these workers include nearly 15,000 that are currently in the United States on H1B work visas. The company continues to be one of the biggest recipients of H1B visas, majorly due to the lack of skilled American professionals available to fill these roles. While Infosys recently discussed their plan to hire thousands of more Americans for tech jobs, they will also continue to sponsor H1B visas. Their main goal is to cultivate the best talent both locally and globally. Up next on the list is Tata Consultancy Services. While also not a Fortune 500 company, Tata had more than 10 thousand H1B visa petitions approved by the Department of Homeland Security in 2016. Tata Consultancy Services Limited is a multinational Indian information technology service that offers business and consulting solutions in more than 46 countries. The business is headquartered in Mumbai, Maharashtra and is currently one of the biggest Indian companies with a market capitalization of $80 billion. The company has also earned its place among the most valuable global brands to offer IT services. Tata Consultancy Services has had many successes in recent years. It alone generates more than 70 percent dividends of Tata Sons, its parent company. It also ranked 64th in Forbes World’s Most Innovative companies in 2015. It ranked as both the top Indian company and the highest-ranked IT services company. Tata is also the 9th largest IT services provider by revenue in the world, and was ranked 10th on Fortune’s India 500 list in December 2015. After announcing a partnership with Aurus, Inc. in January 2017, the company is expected to grow to exponential levels in upcoming years. Recently, the Indian IT firm announced that it has cut its U.S. work visa applications by two-thirds. While the company relies heavily on outsourcing its operations to the needs of business around the world with the help of Indian tech workers with H1B visas, the firm admitted to applying for just 4,000 visas in 2016, compared to 14,000 in 2015. However, while there are 85,000 new H1B visas available annually, the number of applicants has continued to exceed the supply in recent years. There is a good reason why so many foreigners petition for the H1B visa each year. The visa provides qualified candidates with ample opportunity to maintain long-term work in the United States while also giving holders the ability to port their status from one employer to another if desired. 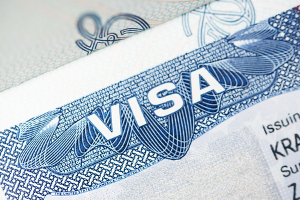 The H1B visa comes with broad requirements focusing on just two primary prerequisites. The foreigner must hold a bachelor’s degree and must have a job offer for a specialty position from a company in the United States. Foreign professionals from all over the world can apply and with many companies that sponsor H1B visas available, the odds are in your favor.